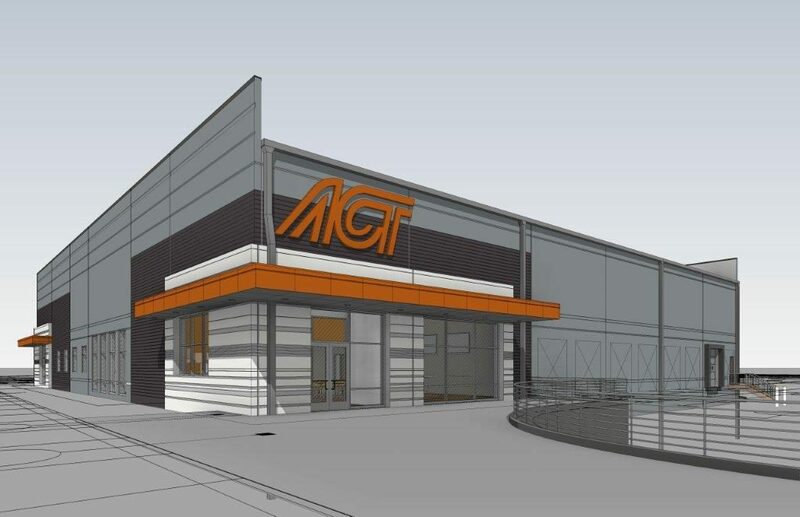 Soon American Central Transport will be breaking ground on a new office just north of the shop in Hunt Midwest Business Park. We expect it will take around 6 months to complete if the weather cooperates and the creek doesn’t rise. It is located at the corner of Parvin Road and Kentucky just north of our shop. The new building will be loaded with amenities for both our driver, shop and office folks. A walk through the gate from the shop to the north will take you to the back entrance, but it is so much more than that. There will be an outside patio and a large modern eating and gathering area inside equipped with flat screen TV’s, a kitchen, plug-ins to recharge your batteries, a foosball table and more. It is a great area to hang out, meet with folks in the office, have lunch or dinner or just relax. This will be a great new venue for our summer cookouts, driver appreciation week and other team activities throughout the year. We plan to have a fully equipped exercise room to help you with that exercise that is so important to your health but so hard to get on the road. Sometimes we all need to just get away from it all. To zone out after some hard days on the road, we will have a quiet room, where you can just go in and relax in a quiet comfortable atmosphere. When you would like a night out of the truck, or perhaps the weather out is a little scary, cold or noisy, we have six new private bunk rooms that you can rent on a “first come, first serve” basis for a small amount, enough to cover linen service and cleaning. We’ll have an expanded laundry room, bathrooms for men and women, and new showers. In sum, this is your home away from home, a nice comfortable place to do your 34 hour restart or wait on your truck repairs while catching up with your team workers from the office. The new building will be 22,000 square feet, compared to our current office of 14,400. Outside it will have fenced parking for drivers’ personal vehicles which has the added benefit of clearing them out of the shop lot and freeing up more space for trailers. This is a large upgrade from our place in Liberty. And the shop is not a great place to hang out. It never was planned for that. When we built it in 2007, we planned an office next door, but the 2009 recession delayed our plans. When you come out of a recession like that, the worst in our lifetimes, it tends to make you conservative. Hence the delay. We currently have enough office space at our place in Liberty, it is paid for, and we make nice rent from trailer parking there. So why in the world would we spend about $4 million, move everyone for a larger building? The answer is simple. 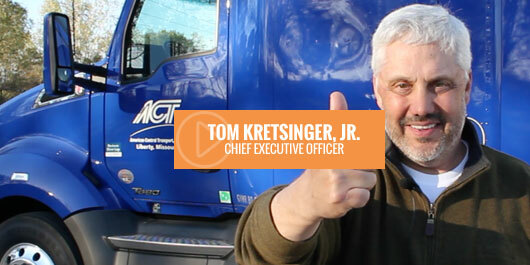 This investment brings us close to our drivers. That is the one and only reason but a very important one. This building brings new amenities, but most importantly we get to see and be with our whole team regularly. You may also notice dirt moving on our 5 acres to the south of the shop. As you may have noticed from our place in Liberty, there is a strong market for trailer parking in Kansas City. We plan to pave that 5 acres, keep it separate and rent it out as we have in Liberty. We think this will be a good investment. Do we need more parking for our equipment? No, and we hope we never do. Things are best when our equipment is on the road, not parked. We will be posting detailed plans soon. We are very excited and will look forward to enjoying the new facility with all our ACT family together soon.